(Half Moon Bay, Calif.) – Looking ahead to an El Niño winter and the anticipation of big waves early in the season, the organizers of the Mavericks Invitational big wave surf contest are opening the contest season on November 1, 2012. Following the approval of the permit by the San Mateo County Harbor District last week, the organizers kicked into high gear the planning for this year’s famed big wave surfing contest off Pillar Point in Half Moon Bay. The contest waiting period is officially November 1, 2012, through March 31, 2013. Mavericks Invitational organizers are also announcing a partnership with the Big Wave World Tour. Founded by famed big wave rider and shaper, Gary Linden, the Big Wave World Tour (BWWT), is an international surfing phenomenon that organizes the best big wave riders in the first-ever big wave surfing league. The tour showcases the world’s top surfers and local standouts as they battle extreme conditions, and each other, in a season long battle to become the next Big Wave World Champion. The tour includes events in Chile, Peru, Mexico, and now in California. The association with BWWT allows those surfers who are part of the tour to use their performance at Mavericks as part of their overall scoring for the season. The list of competitors for this year’s Mavericks Invitational will not change from last season, when a lackluster winter dashed hopes for a contest. 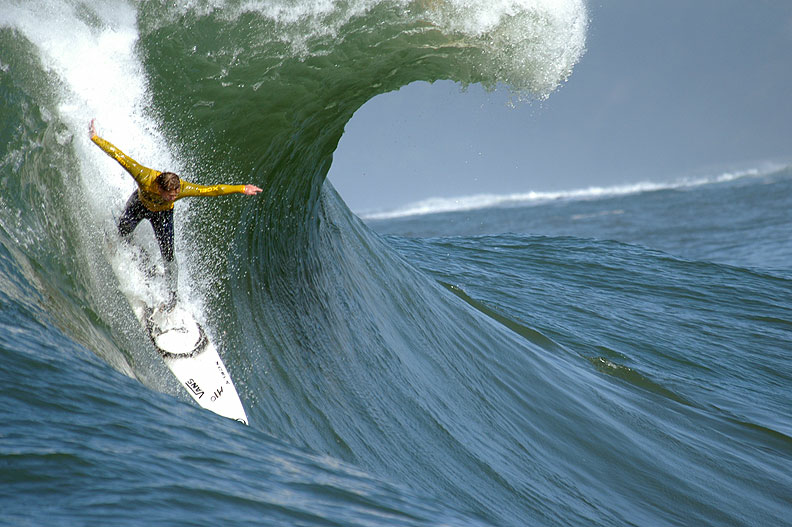 Mavericks Invitational is the world’s premier, high adrenaline, big wave surfing event. This one-day, invitation-only surfing competition is held at the legendary Mavericks surf break located ½ mile offshore at Pillar Point Harbor, just 20 minutes south of San Francisco. The 24 most daring big-wave surfers in the world will attempt to tame the massive swells on the biggest and best day of the 2012-13 winter season.